Oligonucleotide aptamers as a new type of molecular recognition element, compared with conventional antibodies, have not only high affinity and specificity to target molecules but also many advantages such as a wide range of target molecule recognition, synthesis in vitro, and chemical stability. 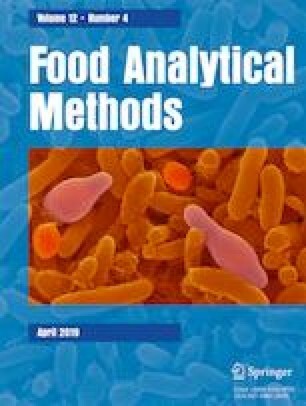 With deep concerns of human beings about food safety issues, various aptamer-based methods for detecting harmful substances in foods have been extensively studied in recent years, including fluorescent, colorimetric, electrochemical, photoelectrochemical, electrochemiluminescent methods, etc. They have the methodology characteristics such as on-site detection, rapidness and high sensitivity. The hazardous substances that were detected mainly involved pesticide and veterinary drug residues, pathogenic organisms, biotoxins, allergens and organic pollutants. The methodology studies on the applications of aptamers in the detection of harmful substances in foods are comprehensively reviewed. This work is supported by the Natural Science Foundation of Jiangsu Province in China (Grant No. BK20151338). The authors are grateful to A Project Funded by the Priority Academic Program Development of Jiangsu Higher Education Institutions. This work is supported by the Natural Science Foundation of Jiangsu Province in China (Grant No. BK20151338), the Science Fund of Jiangsu University (Grant No. 08JDG001), and a Project Funded by the Priority Academic Program Development of Jiangsu Higher Education Institutions. Guan-Hua Chen declares that he has no conflict of interest. Shang-Hong Song declares that she has no conflict of interest. Zhi-Fei Gao declares that he has no conflict of interest. Xin Guo declares that she has no conflict of interest.